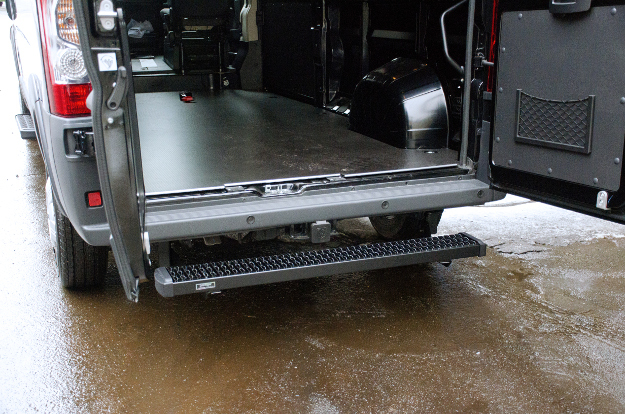 When it comes to running boards for work trucks and cargo vans, Grip Steps™ are unmatched. 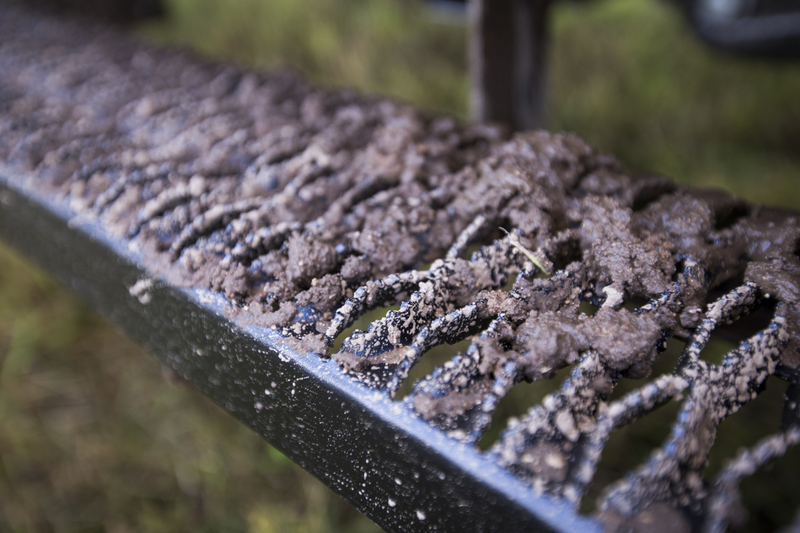 Their expanded metal treads provide dependable traction and safety in any setting -- sun, rain, mud or snow. They are built from powder-coated aluminum for a strong but lightweight step, and they are highly corrosion-resistant for a professional finish. 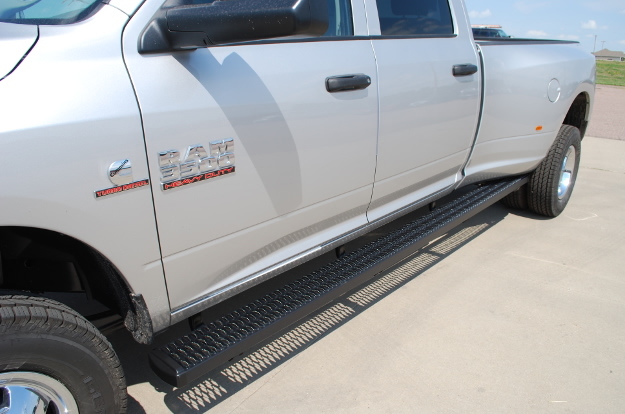 Grip Steps™ are ideal running boards for trucks, cargo vans and fleet vehicles. From the farm, to the construction site, to the delivery route, they offer safety and durability. 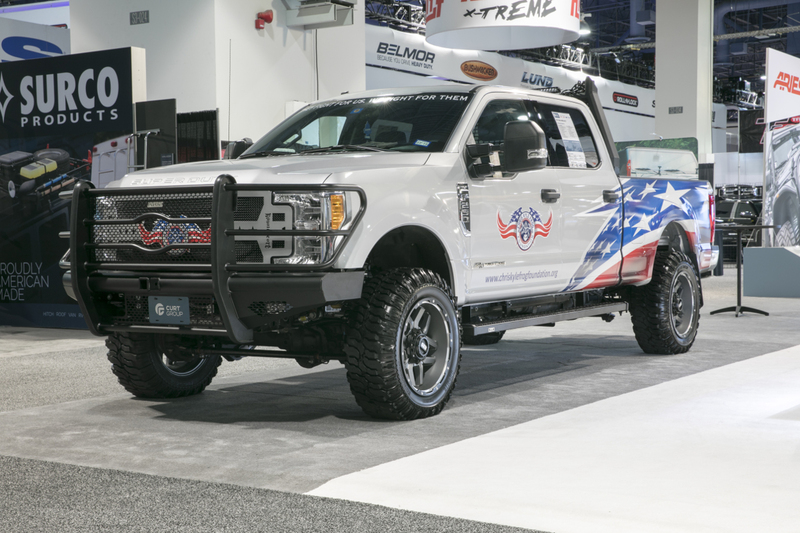 All Grip Step™ running boards are made for vehicle-specific installation. 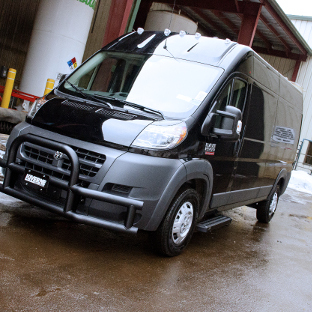 This means a custom fit for each truck or work van without the headache of difficult vehicle modifications. 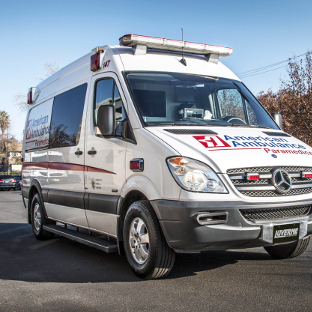 Grip Step™ running boards are ideal for cargo vans, fleet trucks and other hardworking vehicles because of their unique, expanded metal treads. 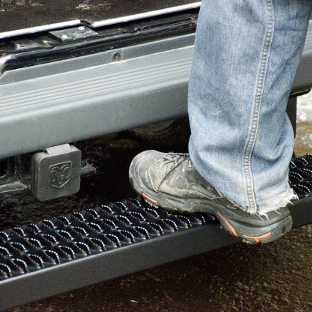 The treads cover the entire 7" wide surface of the running board and lock onto your boots for a safe, comfortable step. The treads are also highly wear-resistant and have an open design. This allows dirt and debris to pass through, keeping the side steps and the interior of your vehicle clean and professional. 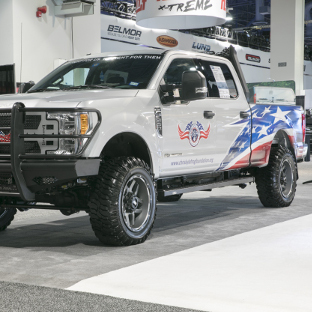 Grip Step™ running boards perfectly balance fuel-efficiency and strength with their extruded aluminum construction. 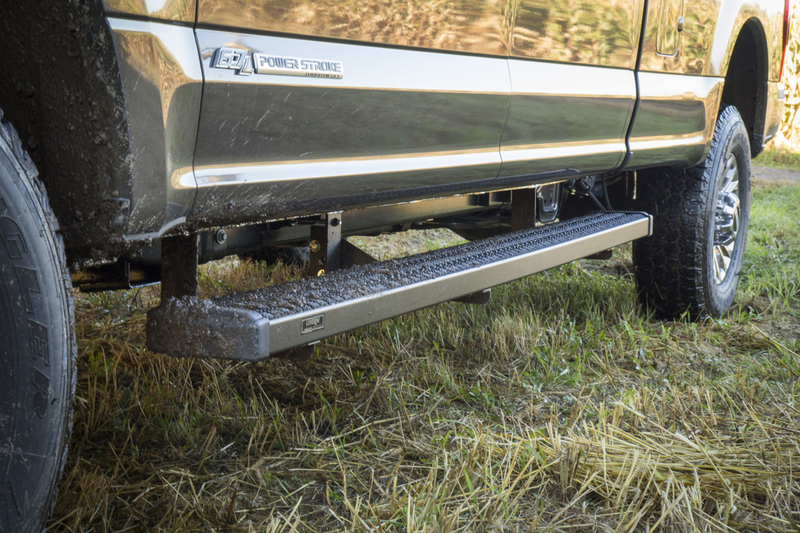 The 5052 aluminum alloy provides a solid, rigid step while keeping excessive weight off your pickup truck or work van. These aluminum running boards are also naturally rust-resistant, maintaining durable strength and a professional finish on your vehicle. For a more aggressive, offroad-style alternative, check out our SlimGrip™ 5" running boards. 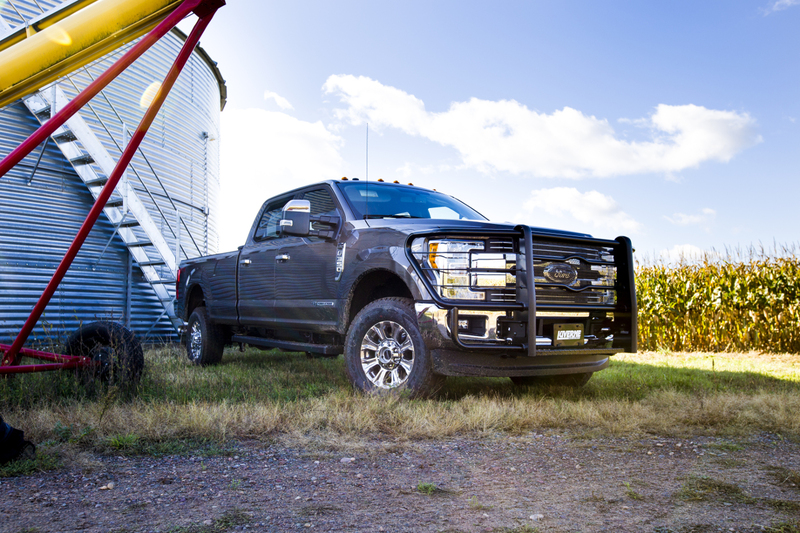 These sleek, rugged truck side steps feature the same expanded metal treads and powder-coated aluminum construction, only with a more narrowed profile and angular end caps. To maximize corrosion resistance to a professional level, Grip Step™ running boards are finished with a textured black powder coat. This highly durable outer barrier protects the running boards from rain, road salt and rust, and resists chipping and scratching from road debris. 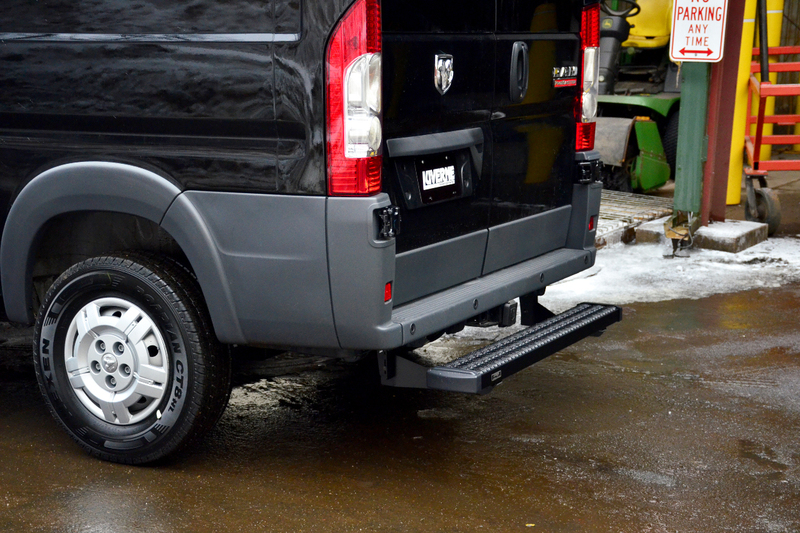 These black running boards give your work truck or cargo van a sharp accent. They are finished off with tough black plastic end caps, eliminating any sharp corners for added safety. For seamless integration and a custom fit without the hassle, all Grip Step™ running boards are made for vehicle-specific installation. The board lengths and configuration of the brackets are customized for each unique truck, van or SUV application. 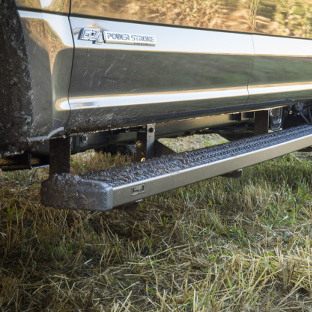 The brackets used to mount Grip Step™ running boards are constructed from high-strength steel for a solid step, and they have a powder coat finish to resist corrosion. Stainless steel fasteners are also used for long-lasting reliability. 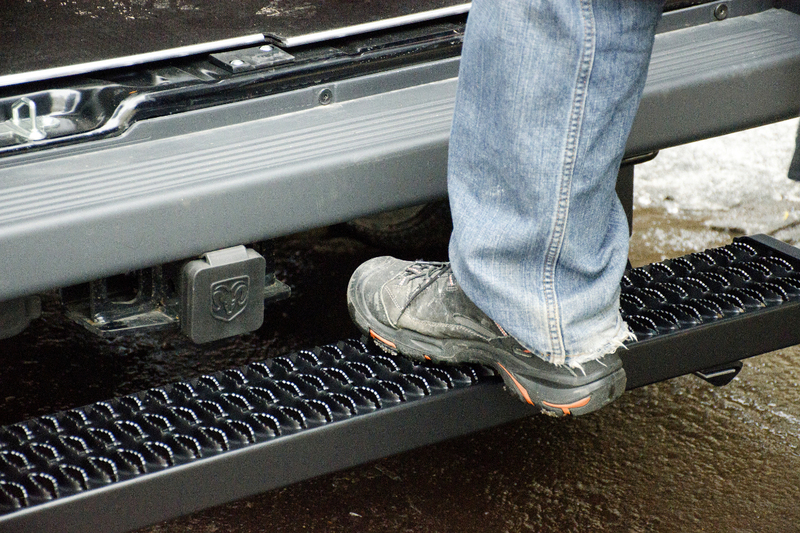 Grip Step™ running boards provide easier access to the truck bed with our wheel-to-wheel option. 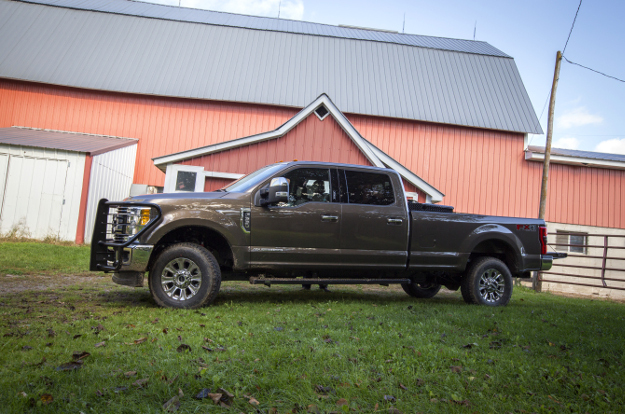 Wheel-to-wheel steps are extra-long to extend beyond the truck cab and offer a solid step up when reaching into the truck bed. 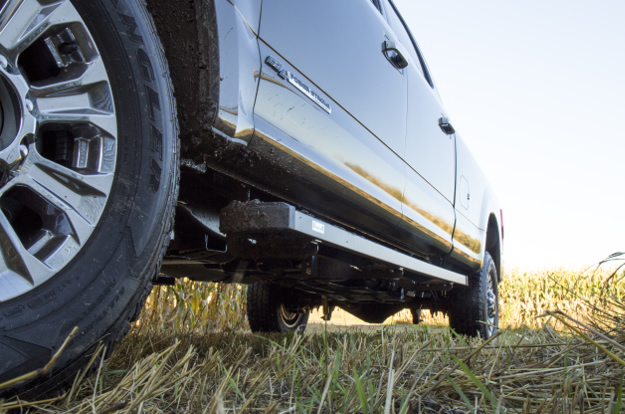 Grip Step™ wheel-to-wheel running boards are ideal for accessing a 5th wheel hitch, gooseneck hitch, headache rack, ladder rack, truck tool box or simply cargo in the truck bed. 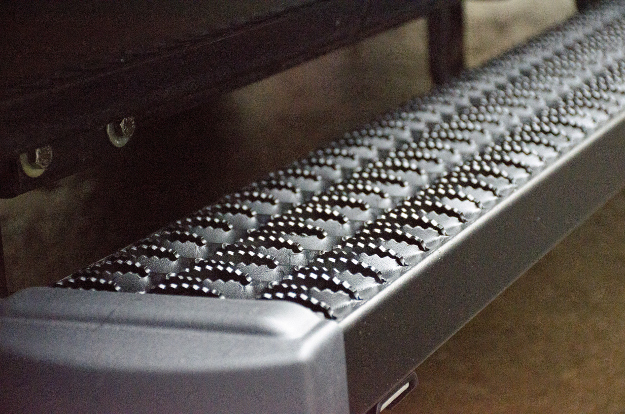 Select Grip Step™ running boards are available with our XD bracket system. 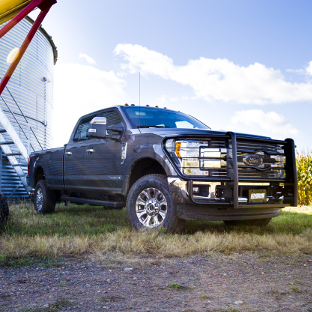 These brackets are engineered for higher strength and superior rigidity, making them the ideal choice for work trucks in commercial, construction, agriculture and other hardworking settings. Grip Step™ XD brackets are made from high-strength carbon steel, and they have a durable black powder coat finish for long-lasting corrosion resistance. 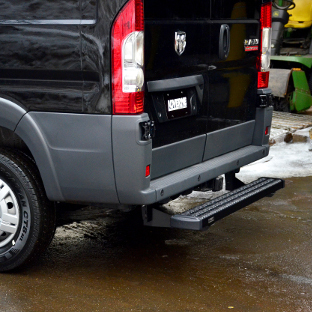 Grip Steps™ are also the ideal running boards for vans, particularly commercial vans, delivery vans and other worker cargo vans. 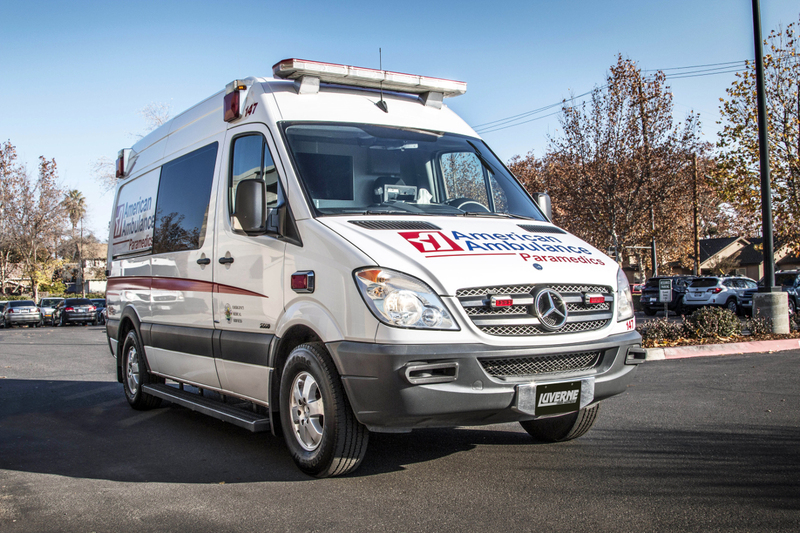 We offer kits with a short running board for the driver-side door and a long running board for the passenger-side sliding door, as well as short running boards for cab-only applications. 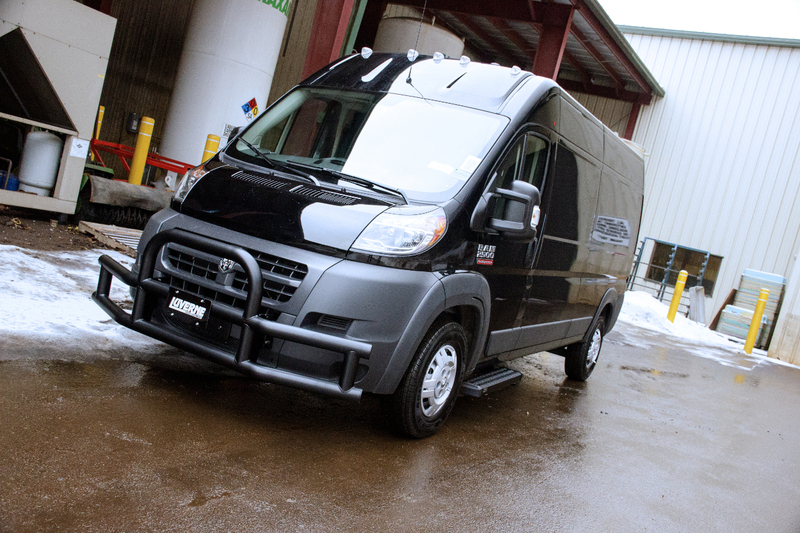 To fully outfit the commercial cargo van, Grip Step™ rear steps add a safe, solid, functional running board to the back of the van, providing easier, ergonomic access to the rear cargo area. Rear steps install with vehicle-specific brackets for a custom fit. For a more finished look on your truck, cargo van or SUV, Grip Step™ running boards are compatible with aluminum backsplashes. 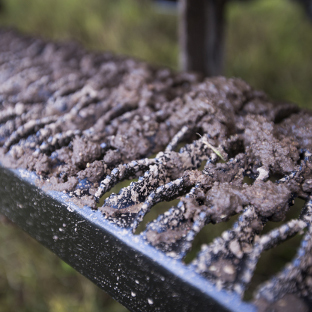 They easily attach to the side steps and help keep it clear of water, dirt and debris. Backsplash kits are available in 78" #410078 or 88" #410088 lengths and can be trimmed for a custom fit. 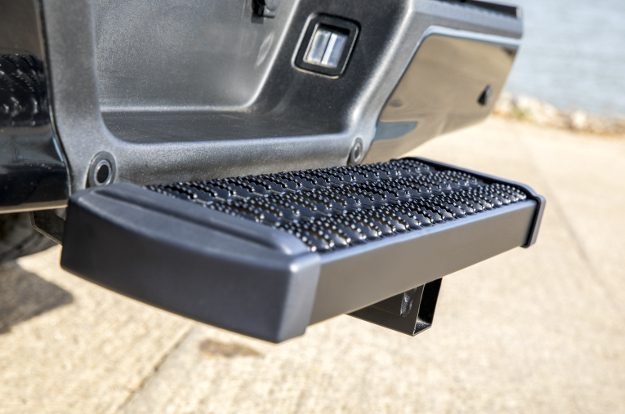 A Grip Step™ receiver hitch step is also available, providing a convenient, use-as-needed step for accessing the truck bed or cargo area. Hitch steps come with a standard shank to fit any 2" x 2" trailer hitch receiver. To find a trailer hitch for your vehicle, visit our fellow brand CURT.